This netting is perfect for birthdays, showers, anniversaries, etc... It is so pretty and goes with any color. 9" Sparkle dot rounds are great for any party favor. 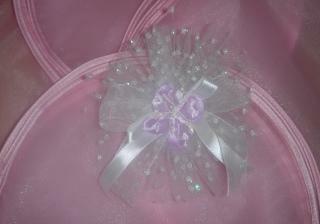 They are especially cute for baby showers and princess/cinderella showers/parties.